Are you excited about jumping into the new Chalk Paint® furniture painting craze but not quite sure where to start? Perfect! This is a simple Chalk Paint® project that is suited for a beginner but pros will love it too. March is “all things India month” at Paint + Pattern. 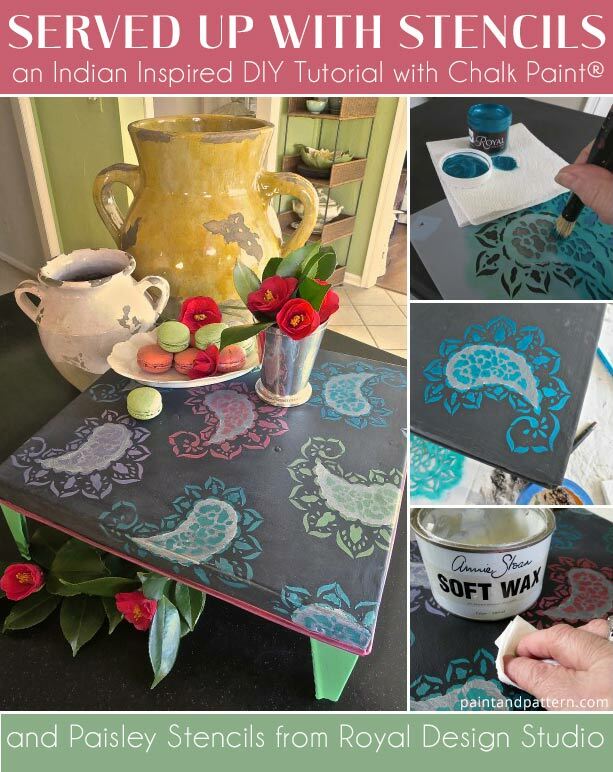 Upon receipt of this assignment I wanted to find a simple item to paint to demonstrate just how beautifully Chalk Paint® by Annie Sloan, Royal Design Studio stencils and Royal Stencil Cremes work together. To begin: Paint your piece with two coats of Graphite Chalk Paint® and allow to dry. 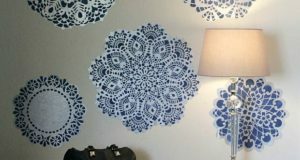 The Small Paisleys stencil is a design that is stenciled in 2 layers. 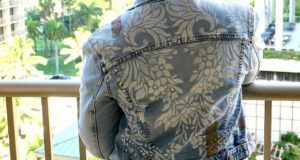 The first overlay contains the simple large center shape of the paisley. The second overlay contains the details. 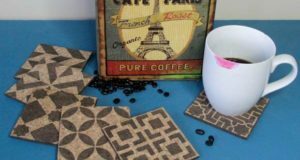 This not only allows you to create a more complex, layered pattern, but also makes it easy to introduce contrasting colors within the design. There are small triangle registration marks that are laser cut into the corners of the stencils. These allow you to accurately align the layers of the pattern. To begin, place the pattern where you want it on your surface and place small pieces of tape under the registration marks. Use a pen to trace the registration triangles onto the tape. This will keep you from having to mark your surface, as the registration marks will come off with the tape! Stencil the first layer with Pearl Oyster Royal Stencil Creme. 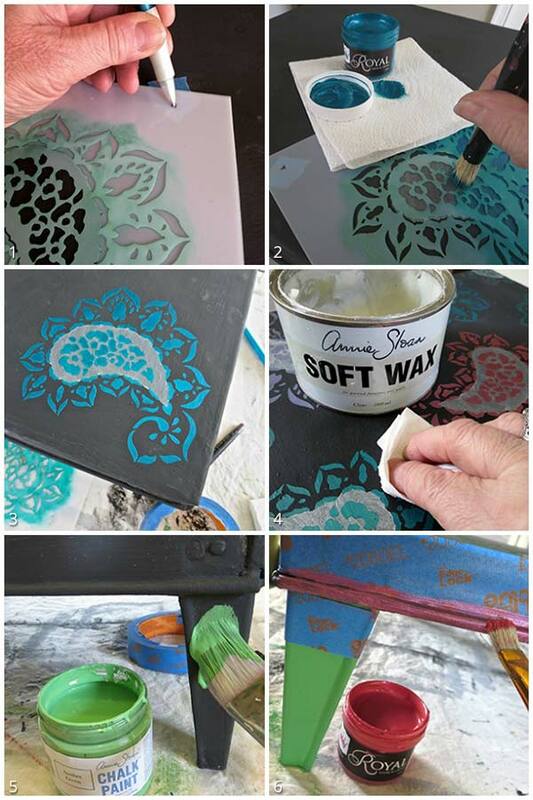 Place the second stencil layer in place (carefully lining up the registration marks) and stencil the pattern details in an alternate color of Stencil Creme. I am using Peacock Fancy in this photo. Use a basic dry-brush stencil technique. Dip just the tip of the brush into the Stencil Creme and “offload” excess paint by swirling with hard pressure onto good quality paper towels. The finished stencil will have both layers showing. 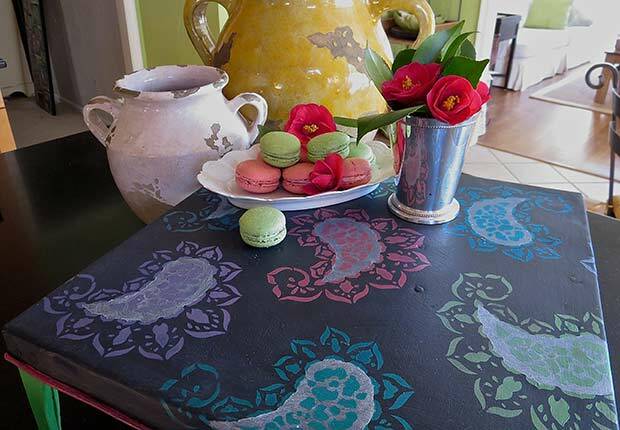 Continue to fill your project area with additional paisley patterns and alternate colors for the second stencil layer. Rotate, or even flip the stencil over to get a nice random pattern. Annie Sloan Clear Soft Wax is the perfect solution to protecting the surface. Using a clean rag wipe on a small amount of wax, covering the entire surface in a circular motion. Using a different clean rag, wipe off all excess wax, turning your rag often to a clean spot. Buff to a soft sheen. Drag a finger through the surface. If you can see a finger mark, buff some more. When done the wax will be dry and it will be cured and food-safe in about 30 days. While the wax cures, use padded feet on sharp objects. Wipe with a damp cloth to clean. The ridge around the edge was painted with the Shimmer Pink Stencil Cremes. 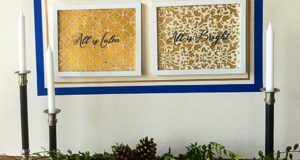 Besides being the ideal paint for stenciling, Royal Stencil Cremes are also great for adding painted details on your furniture pieces. The thick, creamy paint formula glides on easily, dries fast, and covers well! Note: The last two steps should be done prior to the wax finishing coat. This is a perfect serving tray for desserts or wine and cheese. Take it outside to the deck or even use as a breakfast-in-bed tray on lazy Sunday mornings! Are you ready to explore more Chalk Paint® by Annie Sloan projects? We have lots more to entice you on Paint + Pattern’s How-To + DIY pages! Don’t forget to send us photos of your projects. We’re all about sharing the love of Paint + Pattern! Thanks for the auspicious writeup. It in reality used tobe a enjoyment account it. Glance complex to far brought agreeable from you!By the way, how could we keep up a correspondence?